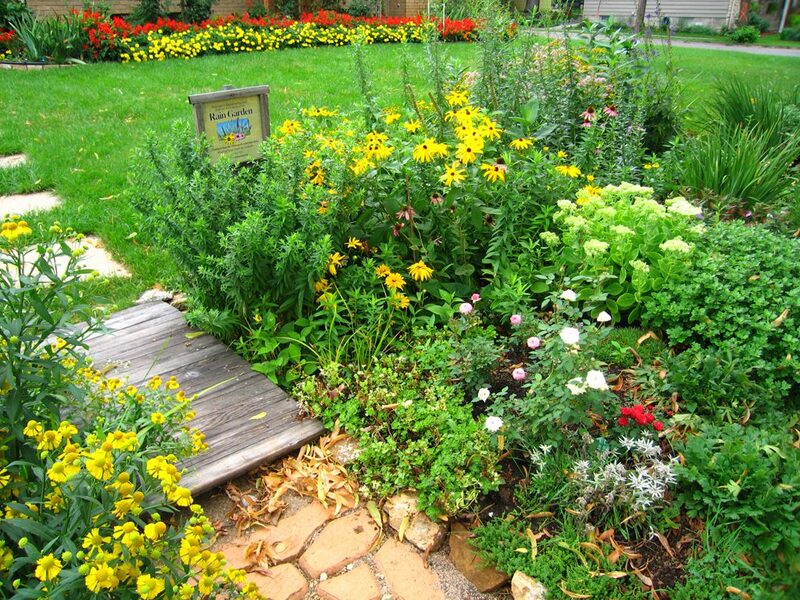 Rain gardens help promote water infiltration into the ground and soil rather than allow runoff. This helps prevents things like fertilizers, pesticides, and grass clippings from getting into our storm sewers and reaching our lakes and rivers. Rain gardens are typically planted with deep-rooted native plants near a typical runoff source, such as a downspout driveway, or street edge. They also help reduce the amount of water that flows into our water bodies and can reduce flooding. Here’s a great video with a quick overview of a rain garden installation! City of Northfield and the City of Owatonna both provide cost-share incentive programs to residents who wish to build a rain garden. Conserve water, reduce runoff and water your garden for free! You can do all these things with your very own rain barrel. CRWP has helped hundreds of residents convert 55-gallon plastic barrels originally used in food production into runoff-reducing tools. 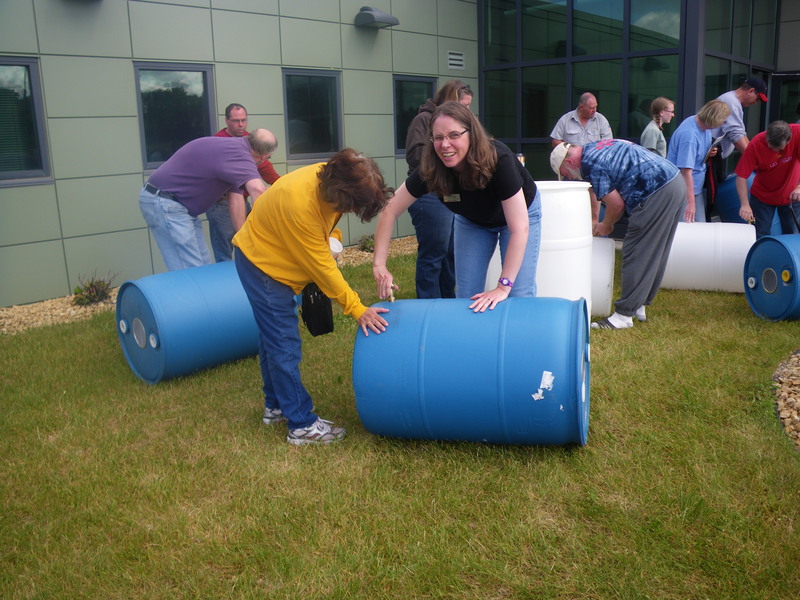 CRWP is no longer in the rain barrel business, but below are some helpful resources for assembling your own barrel. Rain Barrel Installation and Maintenance Guide (please consult instructions when doing at home!) using a Rain Recycle Kit. Northfield property owners are eligible for a $20 rebate from the City of Northfield when you purchase and install a rain barrel. For more information, see the City of Northfield’s Rain Garden/Rain Barrels page. Owatonna residents are eligible for a $10 rebate when you purchase and install a rain barrel. For more information click here. As of June 2015 CRWP has sold out of rain barrels and kits. Thank you for your interest, you may find rain-catchment supplies at Menard’s or online.